Heat the oven to 450 degrees. 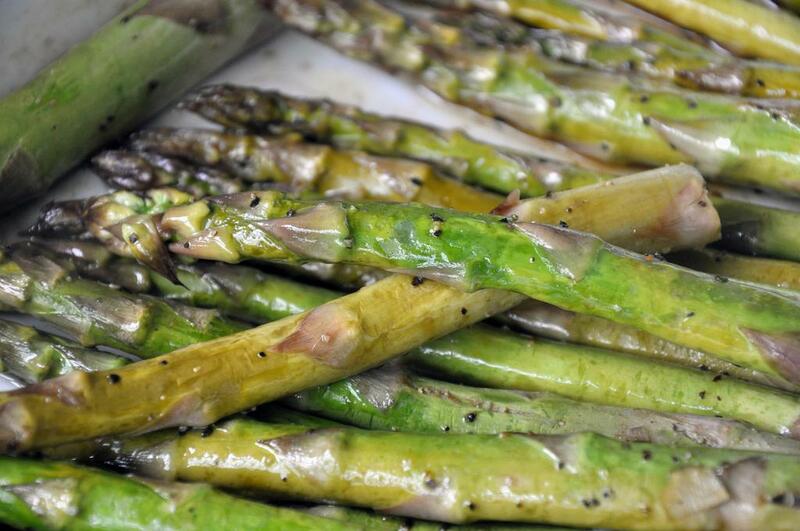 Line the asparagus in a casserole dish and add 1 Tbsp EVOO, vinegar, and 1/4 tsp SnP each. Toss gently and roast in the oven for 15 minutes. Remove and let cool. 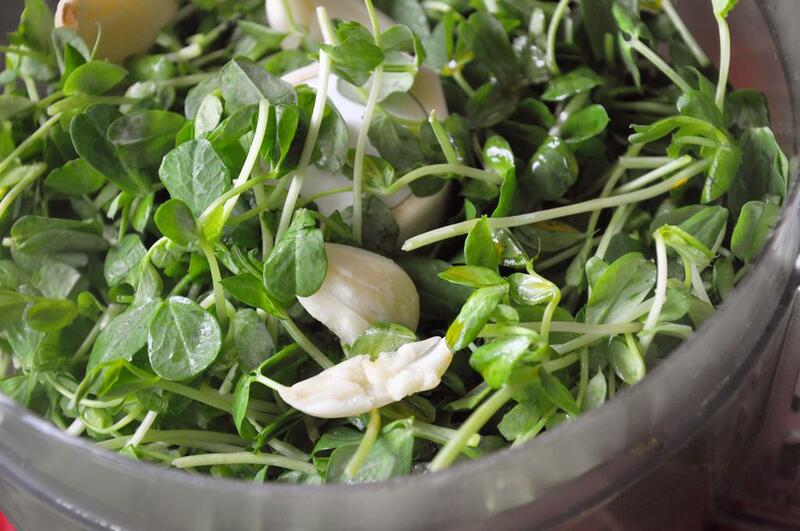 Meanwhile, put the pea shoots in a food processor with remaining Tbsp EVOO, walnuts, parmesan, garlic, and remaining 1/4 tsp SnP each. Process until smooth. 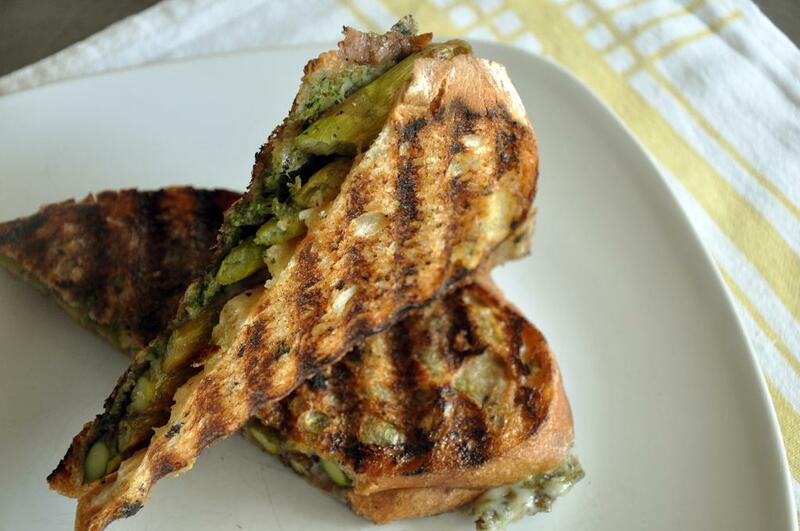 Heat a panini press or grill pan over medium heat. Spray grill with cooking spray. 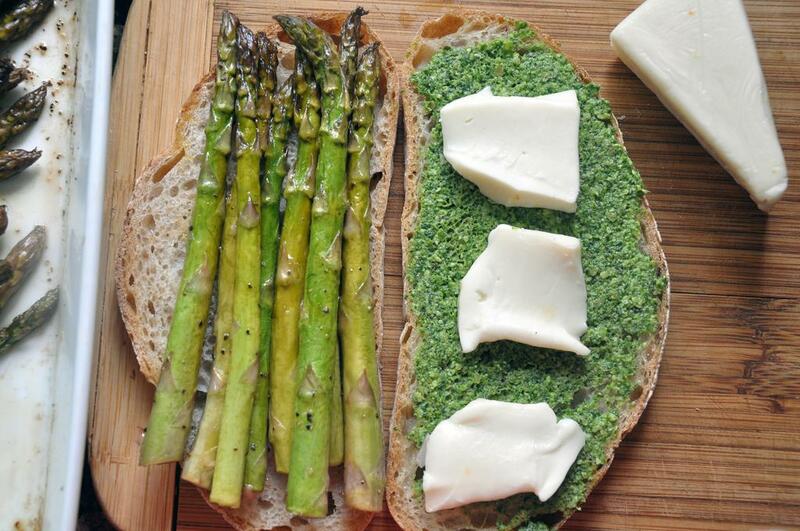 Assemble sandwiches by spreading about 1/4 cup of pea shoot pesto on one side on the bread. Top with sliced fontina. Add 7-8 spears of asparagus.